New Farm Minister Takamori Yoshikawa met the press at the prime minister’s official residence on Oct. 2. TOKYO, Oct. 3 ― Japan’s Prime Minister Shinzo Abe has retained key ministers in their posts including finance, foreign affairs and economy in the latest cabinet reshuffle, who have been handling thorny trade issues with the United States. Last week when Abe met U.S. President Donald Trump in New York, the two leaders agreed to begin negotiations for a trade agreement on goods (TAG). 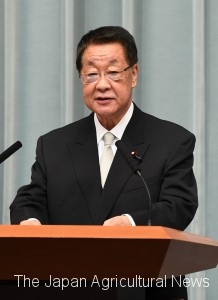 For the new cabinet, Abe appointed Takamori Yoshikawa, 67, a former vice agriculture minister, to replace Ken Saito as agriculture minister, reaffirming his commitment to reform the sector. 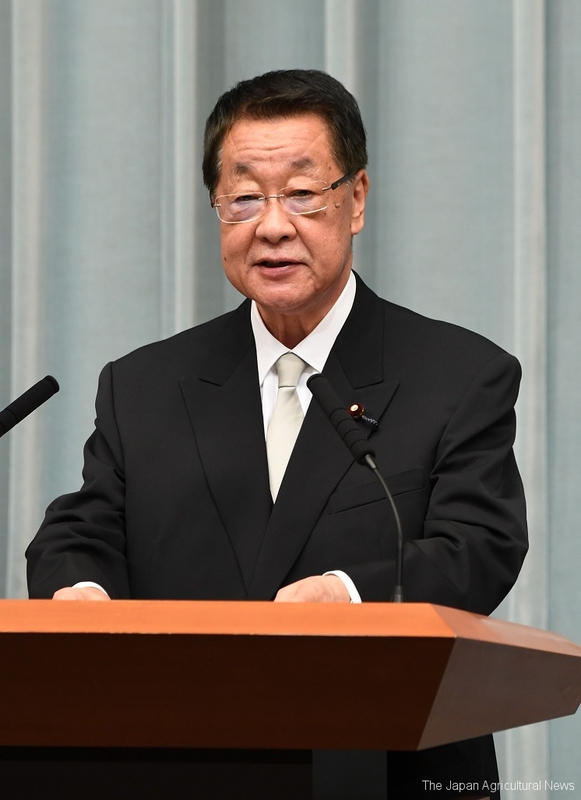 He also kept Deputy Prime Minister Taro Aso, who doubles as finance minister, Trade Minister Hiroshige Seko, Foreign Minister Taro Kono, and Economy Minister Toshimitsu Motegi. Motegi will lead the TAG negotiations with his U.S. counterpart, Robert Lighthizer. The new trade talks will likely start early next year. Last month, Abe was re-elected as leader of the governing Liberal Democratic Party (LDP), allowing him to be in office till November next year. That makes him the country’s longest-serving prime minister. Abe’s reshuffle has been seen as a move to push ahead with his controversial attempt to amend Japan’s post-war constitution, experts said.